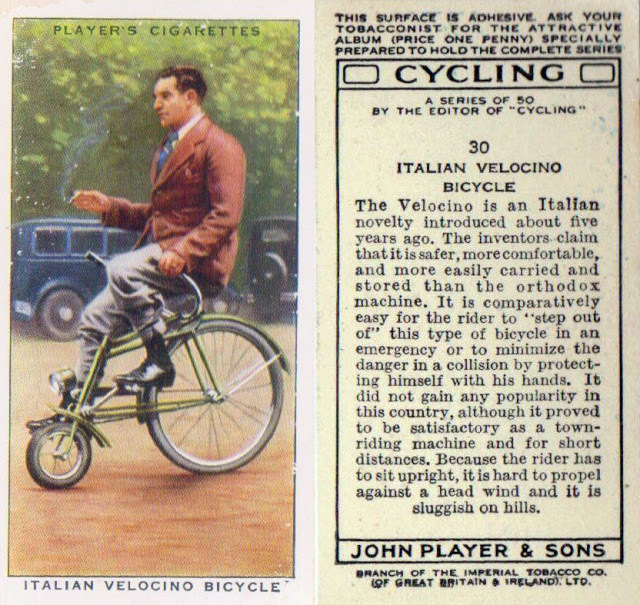 (More than) Just a Car Guy introduces us to an unusual model of bicycle called the Velocino designed in 1933 by Bolognesi engineer Ernesto Pettazzoni at the behest of Benito Mussolini, who wanted a compact urban vehicle that could be easily stored. 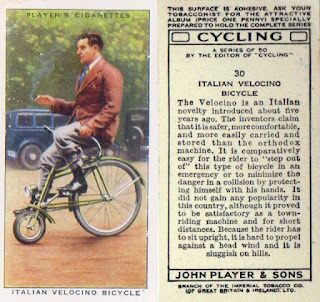 The semi-recumbent assembly had a normal-sized rear wheel and tiny one in the front, with adjustable, opposing handle-bars that made under seat steering a possibility. I doubt I’d ever have the confidence to navigate such a set-up at speed.